Mount Dalsnibba Geiranger is a mountain peak and scenic overlook located high above the small town of Geiranger, Norway. It is included along with other West Norwegian fjords as part of a Unesco World Heritage Site. Mount Dalsnibba Geiranger is reached by ascending a steep, windy road fraught with switchbacks. 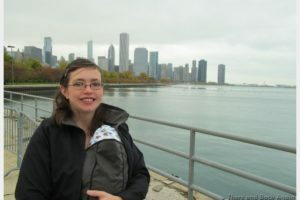 We visited on a grey, rainy cruise ship port day. 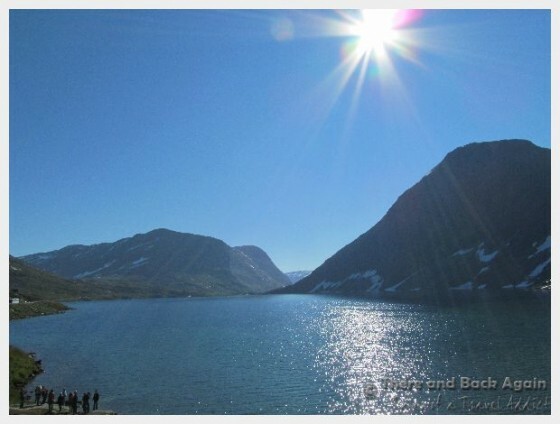 Here is the story of how we found the sun and had an amazing day in Geirangerfjord. If you love this, you will also love these other pieces about our Nordic Cruise adventure! Alesund Norway on a Budget: How we Spent an ENTIRE Day in Alesund Without Speinding a Penny! I peeked my sleepy eyes out of the balcony door and saw a sheet of low, grey fog, just above us, obscuring our views of the top half of the fjords. 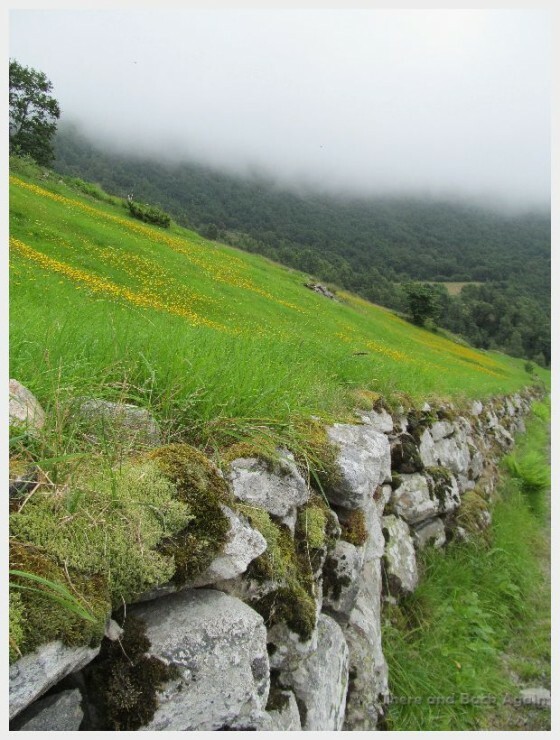 Dismayed, I wondered about things to do in Geiranger Norway on such a foggy, rainy day. As it turns out, even a foggy day in Geirangerfjord Norway is not a lost cause. Upon stepping off of the ship’s tender, we headed to the tourist information office (conveniently located right on the pier) to find our what to do in Geiranger on a rainy day. The small town or Geiranger, Norway has a year round population of under 300 people. In the peak of summer travel seasons, this little town can see as many as 9,000 cruise ship passengers come ashore in a single day to explore or take a Geirangerfjord tour. 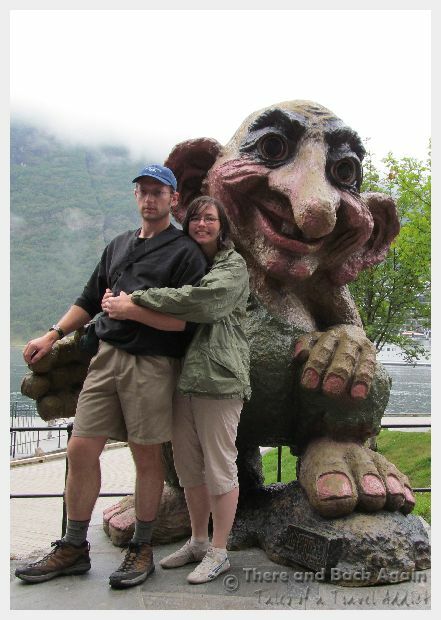 We stopped at the the Geiranger tourist information for ideas. Mount Dalsnibba, the peak high above Geiranger quickly became a front runner for destinations for one big reason. The bus driver had reported in that it was sunny up there, as the peak was above the low lying clouds that blanketing the fjord. 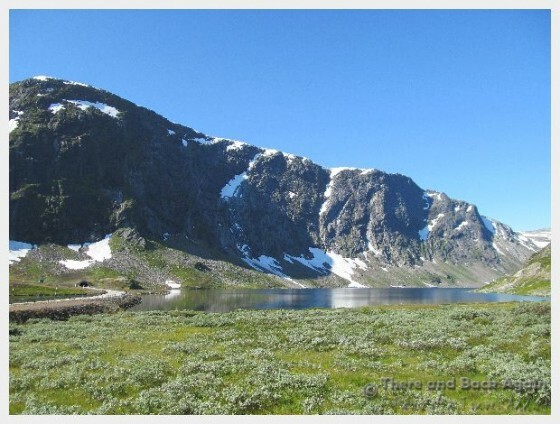 A Geiranerfjord tour to Mount Dalsnibba? WE WERE IN! As we drove up the road towards Mount Dalsbibba, the sun suddenly appeared as we rose above the clouds. The Dalsnibba bus trip set us back about $90 for the two of us, so it was a little bit of a splurge, but it was completely worthwhile and required little advanced planning on our part. The Dalsnibba bus ride took about two hours. We went up, up and up, through a staggering series of hairpin turns. When we got towards the top, the fruits of our splurge were amazing. Stunning scenery as we drove up followed by a breathtaking high mountain lake with water so blue I almost thought that we were in the Caribbean. 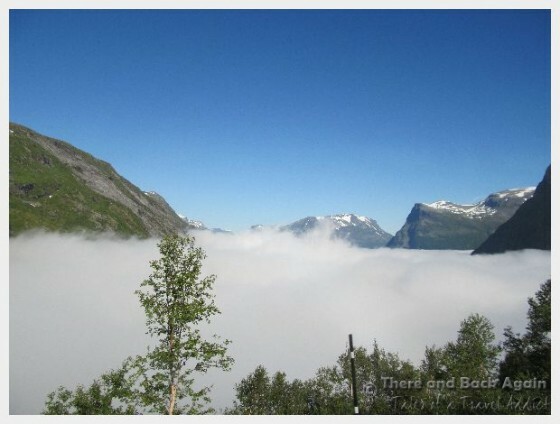 The grand finale was the view from the top of Mount Dalsnibba of the tops of the Fjords sitting in a blanket of white clouds and a sea of blue sky. Finally! We reached the top of Mount Dalsnibba! Just look at those views! 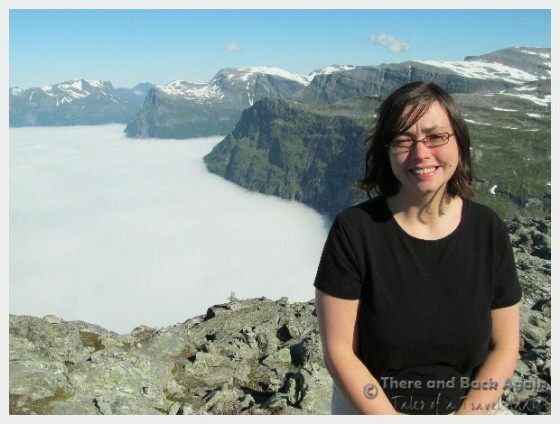 The Geiranger tourist information office has a good map that you can purchase for a dollar or two that shows you exactly where to get off the bus and how to get to the trail. Getting off on our way back down from the Dalsnibba bus tour saved us about an hour of walking uphill to get to the trail head from town. At the end of the moderately arduous hike, you are rewards with these views and the ability to walk behind the waterfall. If you are looking for a challenging Geirangerfjord hiking experience, you will not be disappointed by a visit to Storseterfossen waterfall. This trail is not for the out of shape of the faint at heart. It is steep, rocky and can be muddy if it has been raining (in fact, I would check with the tourist information office and perhaps reconsider my plans if it had rained recently, as the trail is honestly challenging enough even when mostly dry.) There is a bin of hiking sticks for loan at the bottom of the trail. I wished after starting up that I had grabbed one. Half ways up, we started wondering if the view of the Storseterfossen waterfall was going to be worth the effort that we were expending getting up to it. Do not doubt it for a moment. It was amazing, spectacular and fantastic. It added another layer of memory to our already memorable day. Once you huff it to the top, take a break in the meadow at the top of the falls. Catch your breath and continue down a short path from the meadow to the dessert for your efforts: A chance to walk directly behind a huge waterfall of pure, snow melt water, take pictures and stay mostly dry. 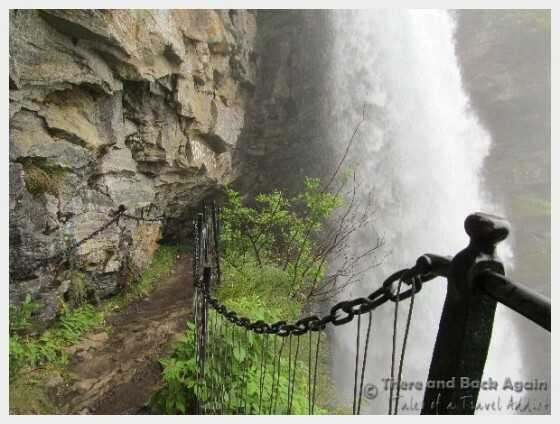 The short path down to the falls is a little dicey; it is wet, slippery and narrow in places, but there is a sturdy chain firmly attached to one wall to help you with balance. Hearing the roar of the falls and being underneath all of that water as it rushed overhead was an unforgettable part of my Norwegian cruise experience, and one that I highly recommend to anyone that is able to get there while in Geirangerfjord Norway. This made a perfect stop on our way back down from Mount Dalsnibba Geiranger. 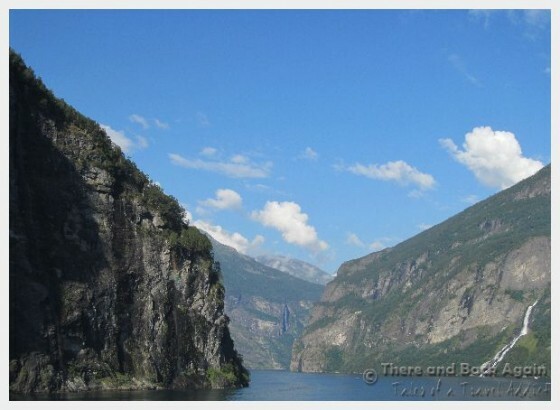 As the ship prepared to depart for our cruise back through the gorgeous fjords around Geiranger, the sun finally came out and I got the beautiful fjord photos that I had been longing for and had thus far been denied. The Seven Sisters Waterfall is one of the most visited natural attractions in the area, and it looked particularly spectacular once the sun came out. Sunshine in the Norwegian fjords. FINALLY! Norwegiean Fjords bathed in glorious sunlight. Hindsight is always 20/20. Had we planned out a car rental ahead of time, we would have been able to drive up to the top of Dalsnibba Geiranger and continue on to a visit to the Briksdal glacier. Getting to the Briksdal Glacier would have been a tight day (2 hours driving each way to the glacier up steep, windy mountain roads) but I think that it would have been sooo worthwhile. 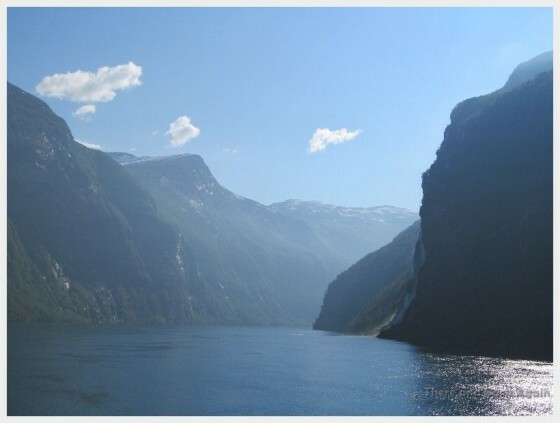 At this time, Hertz is the only car rental agency in Geiranger Norway. 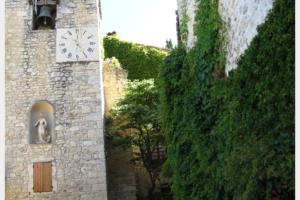 Their rates are reasonable (especially if booking ahead of time) making this a great way to explore the area at your own pace. Find some other people on your cruise on your cruise’s Roll Call Board on Cruise Critic or once you get on the ship who want to split a car rental from the Geirangerfjord cruise port for the day. If we had planned further ahead, car rental for the day to drive up to the Briksdal Glacier would have been 1,200 NOK (about $180 at the time of this writing). Next PostLayover in New York? 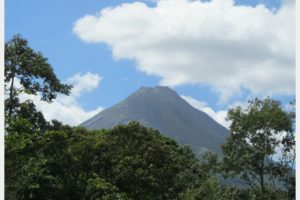 Even though you did not preplan a hire car, the day turned out perfect – the views above, the waterfall (that would have been great) and then the sun came out in the end. What hotel did you stay at? 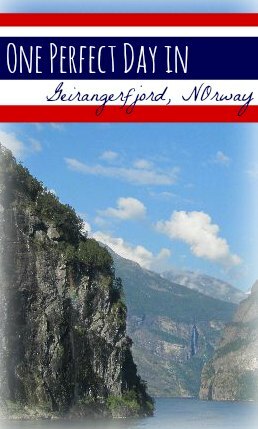 Any budget recommendations for geiranger? We actually found that the cheapest way to visit Norway was on a cruise (all lodging and food included 🙂 So we didn’t stay in any hotels in Norway. We had a balcony cabin…it was amazing to wake up in the morning and eat breakfast with the fjords cruising by.